I don't naturally spring forth with plots. And because I don't naturally spring forth with a plot, there has been a sad lack of antagonists in my stories. I don't know if it's a literary fiction leaning or just that I find antagonists hard to write, but...I don't know that I've ever really written one. 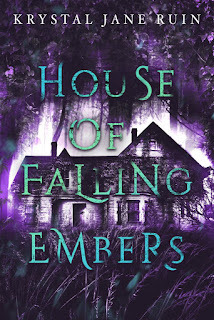 Although The Keegans of Banner's Edge has three antagonists; well, maybe four. They're not antagonists in a Voldemort/Sauron/Henry VIII/Wicked Witch of the West kind of way. The Keegans are definitely a Man vs. Himself or Man vs. Society kind of conflict. Protagonist wants something. Protagonist strives to get that something. Antagonist(s) stands in Protag's way. Protag maneuvers to either get or not get the goal. Why my brain doesn't spout Protag vs. Antag plots is beyond me. It's a lot easier than illustrating an entire society being against one's main character! 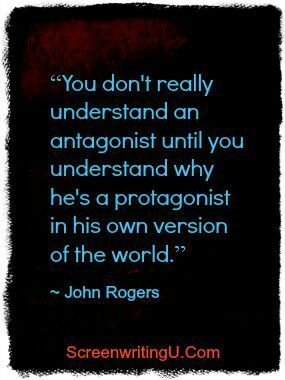 Antagonists aren't merely enemies of the protagonist. They're opponents. They help create conflict and conflict is what stories are made of. I don't think I've shied away from conflict in my stories, but in reading more and learning more about writing, I'm seeing where and how I can use an antagonist more effectively. But as with all things writing-related, I think this might change. My next story has a clear antagonist! I don't have a full plot yet, but I have some people and events to look into that I know will help me shape the world of the story. Looking forward to writing the antagonist in the next book, actually. He's a slimy skeeze, basically. He should be fun to write. I LOVE antagonists. Maybe too much. In the past I have gotten myself in trouble by liking them more than the hero. Lol! Live and learn, yes? But it was good for me. It helped me find better heroes. Yeah, I think it's that I've never had an antagonist who I'd actually like to write. But I think Conrad is going to be fun, in some ways. I'll get to put some things into him, for sure.